Debris fills a small village following heavy rains Sunday, July 8, 2018, in Kuchita-Minami, Asakita-ku, Hiroshima, Japan. Searches continued Sunday night for dozens of victims still missing from the heavy rainfall that hammered southern Japan for the third straight day. 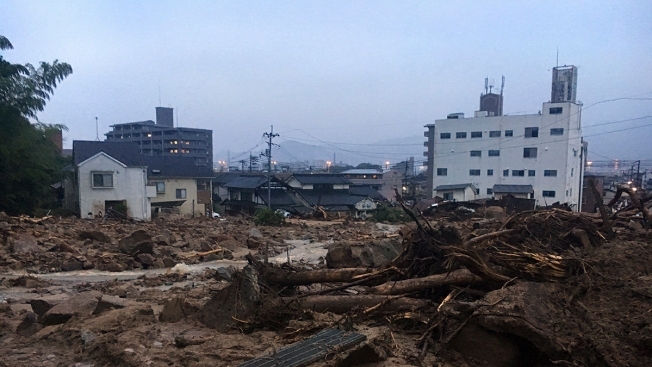 Evacuation orders were in place for nearly 2 million people and landslide warnings were issued in many prefectures, NBC News reported.